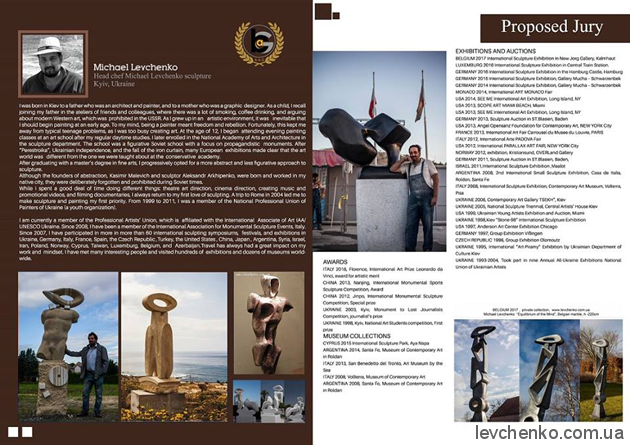 On April 30, 2018, Michael Levchenko was honored to become a jury member for International Online Sculpture Competition and Exhibition, New Dehli, India. 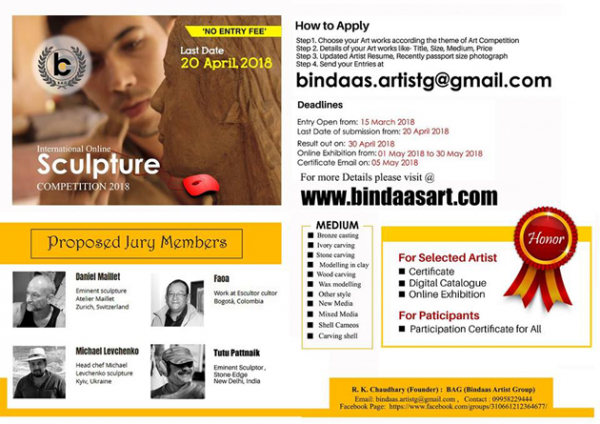 The contest was held by the Bindaas Artist Group (BAG) and collected more than 491 artworks submitted from all over the world. 64 artists in 3 nominations (Top Artist, Best Artist and Special selection) were selected for Online Art Exhibition to be centered in the beautiful page of the BAG website. A full list of the winners is available here.